Ms. Fetto began her training with the Niagara Festival Ballet, the first professional ballet company in Western New York, under Kathleen Crofton (former soloist at the Royal Ballet of London), and Frank Bourman. She studied on scholarship at the Joffrey Ballet in New York City and the Austin Ballet Theater in Austin, Texas. Ms. Fetto trained for seven years with Olga Kostritzky, who is currently an instructor at the School of American Ballet (the school for the New York City Ballet). Other instructors include Stanley Hall, Nina Novak, Elisabeth Carroll, and Jose Serrano (Spanish Classical Dance). Ms. Fetto performed as a soloist with the Ballet Classico and Opera Metropolitana of Caracas, Venezuela, and the Buffalo Repertory Ballet, the Festival Ballet Ensemble, Buffalo Inner City Ballet, and the Greater Buffalo Opera. She has also appeared in Artpark operas, performance art works, and television presentations. She has choreographed pieces for many dance and opera productions. 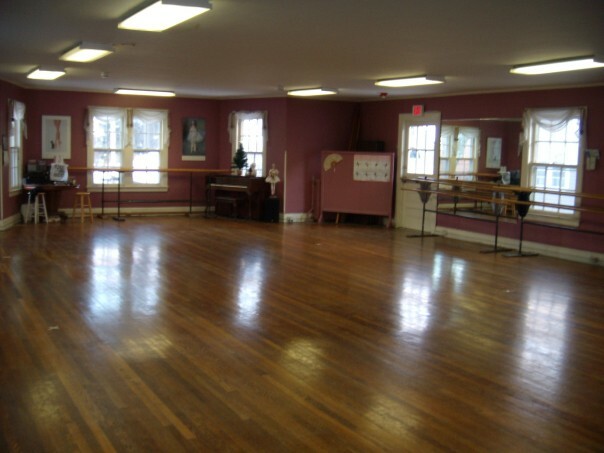 Since January 2003, the Festival School of Ballet has been located in the Church of the Good Shepherd at 96 Jewett Parkway in North Buffalo. This historic church is near Delaware Park and just across the street from the Frank Lloyd Wright designed Darwin Martin house. The area is well-lit and there is plenty of parking on surrounding streets. Our studio is located in Mears Hall behind the church proper. This large, upstairs space has a hardwood floor and fine natural light from windows on all sides. We are fortunate to have the encouragement and support of the parishioners and leaders of this wonderful church. The Festival School of Ballet is known throughout the area as one of the few places where adults at all levels can receive ballet instruction in a professional and supportive atmosphere. Many students come back after years away from dance and find it an enjoyable way to stay fit and socialize with others of all ages and backgrounds. Dancers and performers in other disciplines find it a place where they can stay in touch with ballet fundamentals. Students in the adult classes are welcome to drop in for a class whenever it is convenient or arrange to take classes as their schedule allows. Many former students who have moved away take these classes whenever they are in town and dance professionals come in for a class during breaks in teaching or performing. Send us your e-mail address and we will keep you informed of upcoming Festival School of Ballet events and schedule changes as well as other events of interest to the dance community. Copyright © Festival School of Ballet. All rights reserved.